This ticket allows general access to FLY Open Air 2019 at the weekend, Saturday 18th - Sunday 19th May. 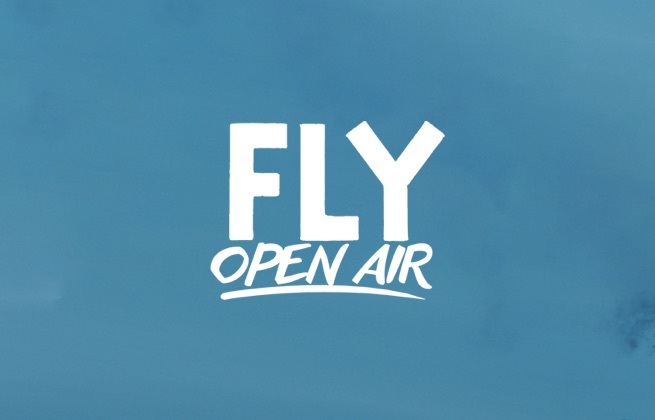 This ticket allows general access to FLY Open Air 2019 at the weekend, Saturday 18th - Sunday 19th May for a group of 3 people. All of you must arrive together. 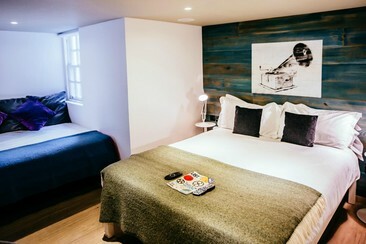 Haystack Hostel is set in a renovated 18th-century Georgian building. It is just 50 m from Edinburgh’s bustling Princes Street. Shops, bars and restaurants surround the property and Edinburgh Waverley Rail Station is less than 150 m away. Impressive Edinburgh Castle is only 0.5 miles’ walk. Haystack Hostel is the perfect base for anyone looking to explore a beautiful city. 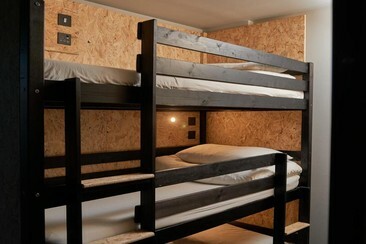 With luxurious wooden triple bunks, the dorms are all equipped with individual power and USB sockets, reading lights and bed linen. Shared bathroom facilities include large showers and separate men's and women's bathrooms. The kitchen and dining area features a full range of kitchenware as well as integrated oven/hobs, fridge, microwave, toaster and kettle. The lounge area provides additional space to relax and socialise. Safestay Edinburgh is located minutes from the historic Royal Mile, right in the heart of the city! This really is the perfect location for seeing Edinburgh’s historic attractions during the day and just a stone’s throw away from the coolest nightlife in the hip Cowgate area. Edinburgh is famous for its beautiful architecture, walking out the door onto the cobbled streets you will begin to explore right away. Edinburgh Playhouse Theatre and Edinburgh Castle are just 1km away. The Royal Mile is just 0.2 km away and features most of the shops, bars, cafés, and bars that wend and wind through small alleys. The hotel offers 24-hour reception, daily housekeeping, restaurant and bar/lounge. Breakfast is served from 8 am, our tasty day menu and a wide selection of drinks are served until late. All bright rooms here will provide you with air conditioning, free Wi-Fi access as well as linens, towels and shower. Stay Central Hotel is just a 1-minute walk from the National Museum of Scotland. Located in the Cowgate, this lively budget hotel is in Edinburgh's Old Town, within half a mile of Princes Street. You can explore The Royal Mile which is just 0.2 km away, features most of the shops, bars, cafés, and bars that wend and wind through small alleys. It's also just a 10-minute walk from Edinburgh Playhouse Theatre and Edinburgh Castle. You can walk everywhere in Old Town, following in the footsteps of kings, invading armies and the celebrated to make a new adventure in Edinburgh. The hotel offers 24-hour reception, daily housekeeping and a stylish bar. All rooms are packed full of those little extras guaranteed to make you feel warm and fuzzy inside. Room amenities feature air conditioning, free & plentiful Wi-Fi, large flat screen TVs, rainfall style showers, Bluetooth speakers, and arrival treats. Within easy reach of Edinburgh city centre and Edinburgh airport, Dakota Edinburgh is the perfect destination for anyone requiring a luxury hotel near Edinburgh. Edinburgh city centre is just a 10-minute train journey from the building. Near the water in South Queensferry, guest will be close to Dalmemy House and Port Edgar. Visitors to the area can be in Duncan McNab house or Forth Bridge by the shore in 15 minutes by tram. The airport is a 20 minute drive away. 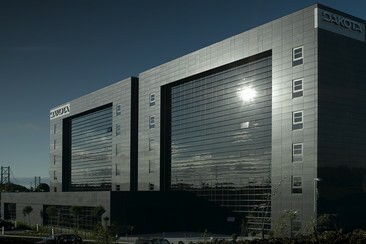 The hotel offers room services, modern gym, Scottish seafood restaurant, bar and business facilities. Each modish room features plush bedding, complimentary wired/wireless Internet, climate control, satellite LCD television and tea/coffeemaker. The Inn Place is located in the heart of Edinburgh’s old town and within 10 minutes’ walk of the castle, Princes Street and Waverley Station. St Giles’ Cathedral and The Real Mary King’s Close are just 5 minutes’ walk away. The hotel offers a 24-hour front desk and continental breakfast is available for an additional fee. The Inn Place boasts 27 bedrooms, each room has a smart design and comes with a flat-screen TV, iron, heating, a desk and a private bathroom with free toiletries. 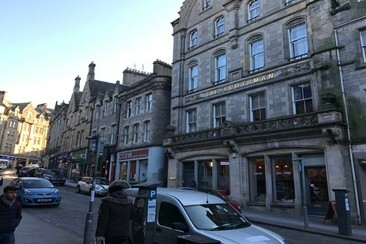 Some rooms offer city views or look onto lovely Cockburn Street, a typical old town-style street. 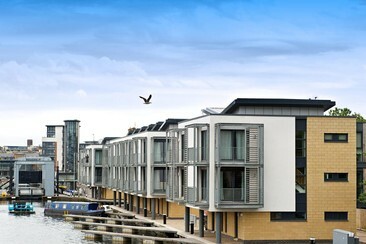 Staycity Aparthotels West End are situated 0.5 miles from Edinburgh Haymarket Rail Station. With free Wi-Fi and 24-hour reception, Princes Street’s shops are just 1 miles away. Both the apartments and town houses have a fully equipped kitchen with an oven, fridge/freezer and utensils. The sleek lounge area features an LCD TV, DVD player and luxury sofas. Guests can make use of a washing machine (available in most apartments), a dishwasher and ironing facilities. An elevator accesses every floor of the building whilst there is on-site car parking for an additional charge.